This double set of golden fingerprint charms combines a small and a medium golden fingerprint charm linked together. The perfect choice to capture two loved ones. 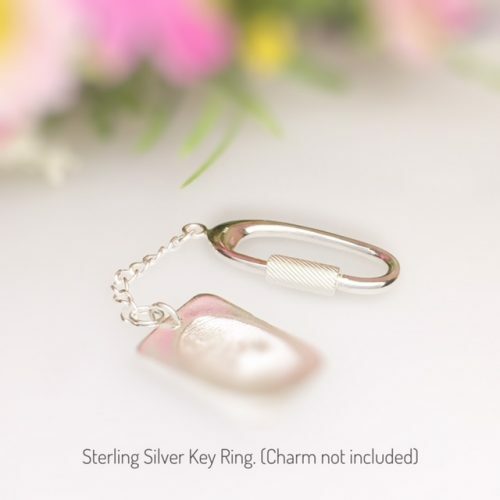 Each charm can have a fingerprint on the front and a name or date on the reverse of each. Stamped or hand engraved. Please note that these are not made from gold. I have included more information below, please read it and be sure that golden moments are the right choice for you. Most golden moment charms will be made within 14 days of me receiving your prints. If you’d like them quicker I offer an express service which guarantees you will have your finished piece within 7 days of me receiving your prints. This Double set of golden fingerprint charms has a small and a medium golden fingerprint charm linked together. The perfect choice to capture two loved ones. Are you a mum of two? you could have each of your children’s prints to wear. 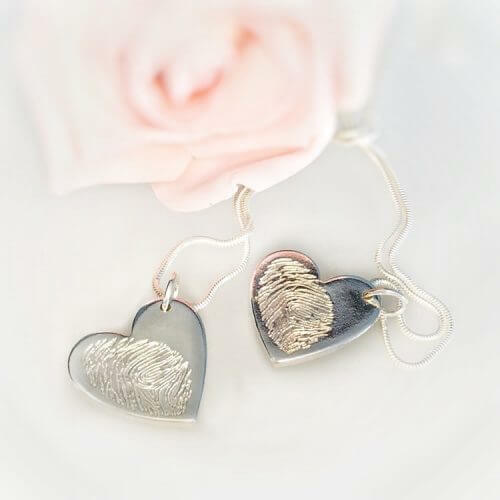 I have made silver fingerprint jewellery for many years now and have often been asked if gold is available – and it is, but the price tag is high. 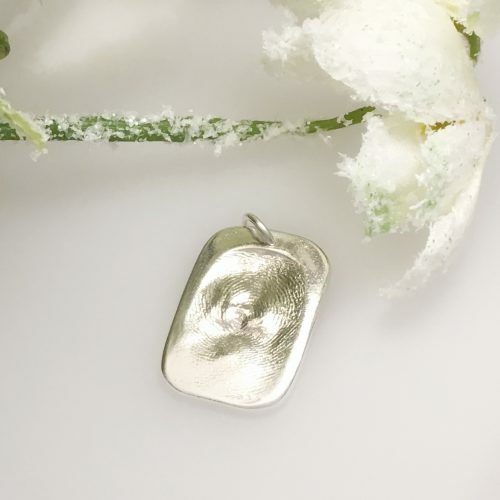 If you have £500 to spare on a solid gold fingerprint charm, then I am happy to create your piece in hallmarked gold. 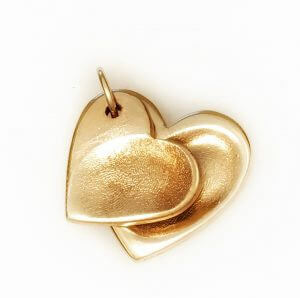 If, on the other hand, you would rather invest £70 to own two beautifully hand made charms that have the luxurious appearance of gold then GOLDEN MOMENTS are for you! Mini prints may also be available – miniaturised imprints of hands feet and paws…perfect for younger babies. Base metal – an economical method to attach your charm to a necklace or bracelet. Base metal, brass, is strong and durable but it is not a precious metal, will not be hallmarked and cannot be soldered. But be aware that your piece is more at risk of being lost if you attach it with an open link. Perfect from approximately 3 year to 100 years +…mess free – easy & fun to do. *Babies prints develop at different ages, most have defined prints by 12 months, but it is not guaranteed – we are all unique! For this product I would recommend a child aged 3 years and over will give a more defined fingerprint – but please ask if you’re unsure – there are alternatives. Medium heart measures approx 22mm, and the small approx 18mm at the widest point of the heart. They can each have one print on the front. The back can be stamped or hand engraved with a name or word (max 6 digits). Fingerprints are created by using a two-part putty. These take a detailed imprint of the fingerprint. Your kit will contain a special two-part putty that when mixed together sets within minutes. All instructions are sent with your FREE FINGERPRINT KIT, or book an appointment with me and I can do it all for you. Memories this Impressive deserve to be remembered!